The 13-bout lineup for the octagon’s next primetime show has been finalized. “UFC on FOX: Werdum vs. Browne” takes place April 19 inside Amway Center in Orlando, Florida. 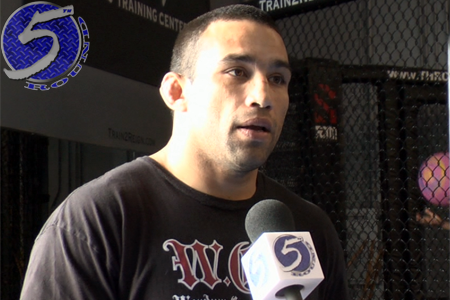 A heavyweight tango between Fabricio Werdum (pictured) and Travis Browne headlines the freebie fight card. It is believed the winner gets next dibs at reigning 265-pound king Cain Velasquez. Former bantamweight top contenders Miesha Tate and Liz Carmouche serve as the co-main event. Both ladies are looking to bounce back from losses.